There are a variety of vintage fonts that can be chosen, we know it can be hard to search because it can take time as well as know which ones are particularly retro. 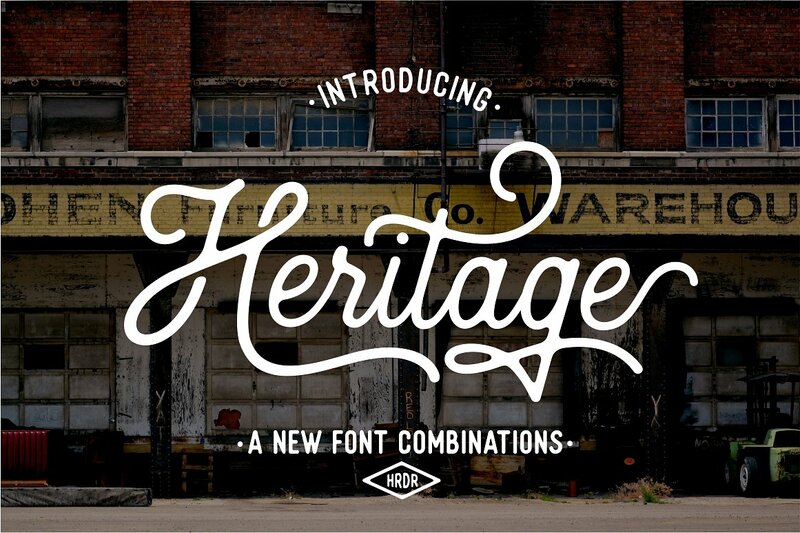 We have exclusively chosen to focus on Vintage fonts. 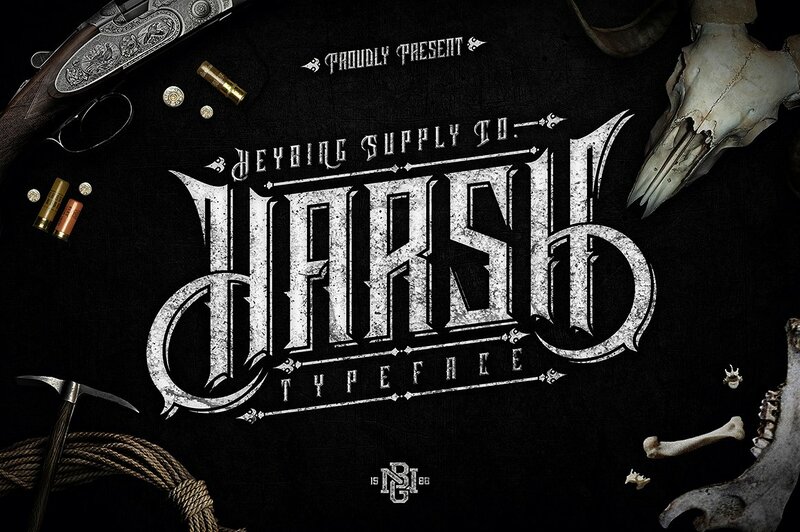 We want to take you back in time with these fonts because of its creative and complexity. 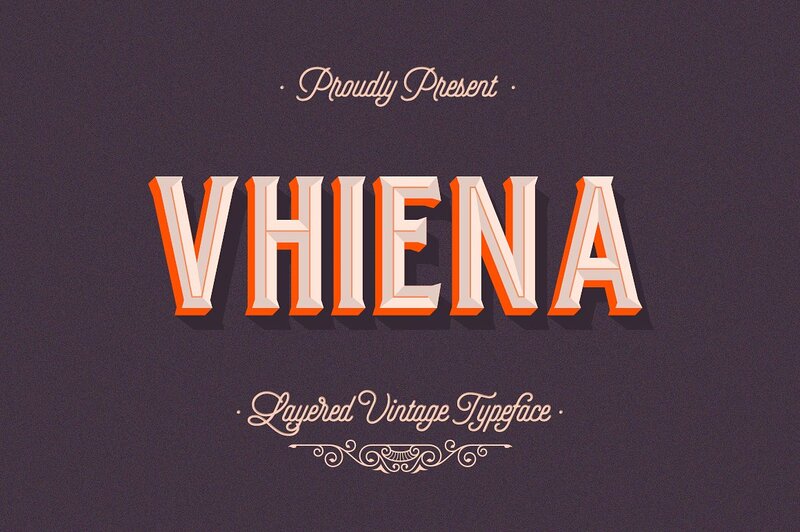 We bring to you a selection of vintage and retro fonts to add a touch to your work. 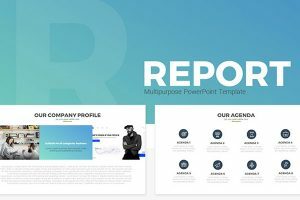 They are perfect for any project you may have from invitations, banners, posters and logo designs. 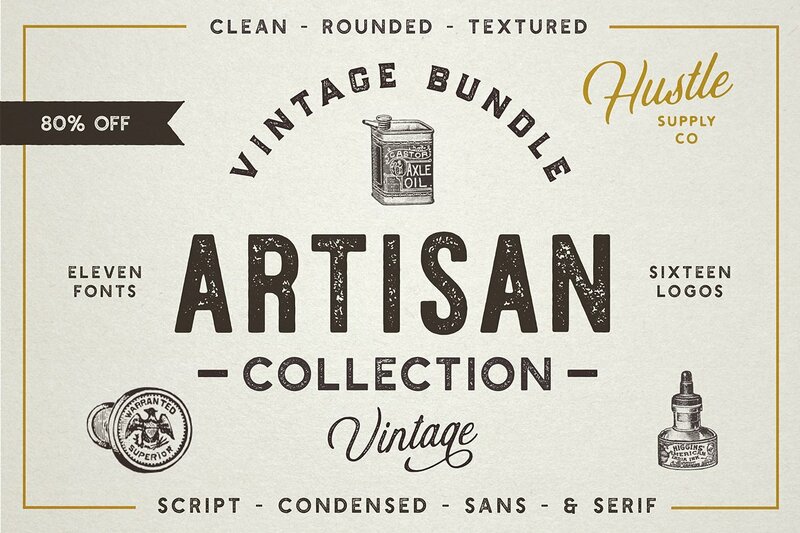 We have selected some of our favorite vintage and retro font designs that will give your work a feeling of nostalgia. All these following fonts are for personal and commercial use. 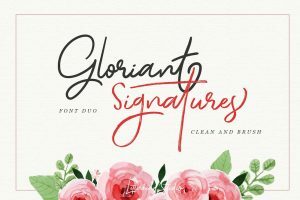 This vintage font is an inspiration of calligraphy, that gives a luxurious and elegant look to your design. You will also find in this font set some decorative frames that you can use. 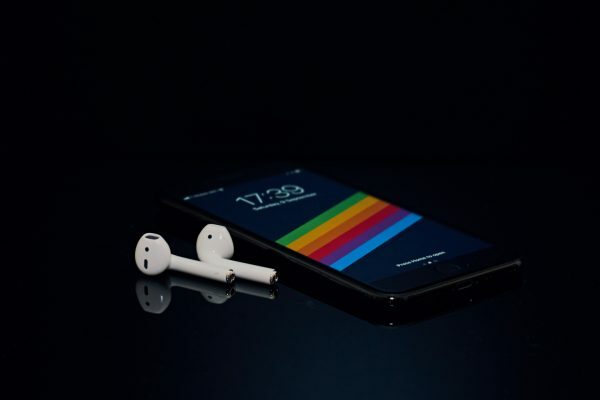 Aurora comes in uppercase and lowercase, it also works with a variety of multilingual languages. 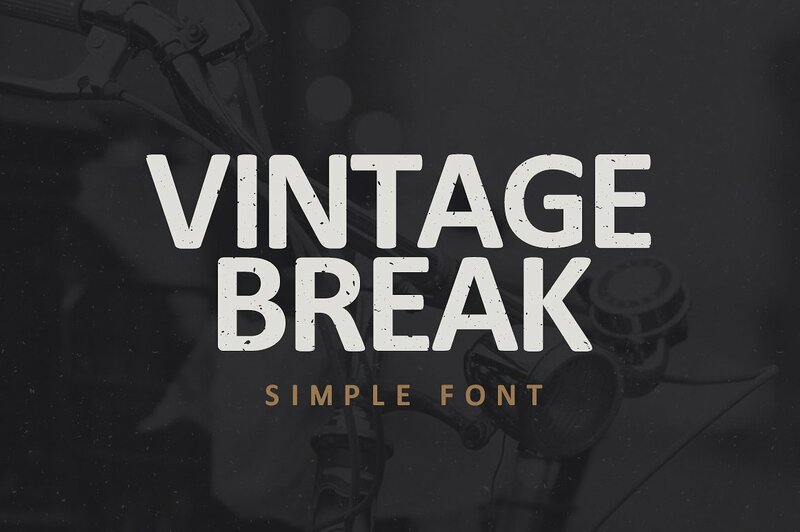 Vintage Break is exactly how its name is vintage and authentic. This high-resolution font has a touch of grunge. 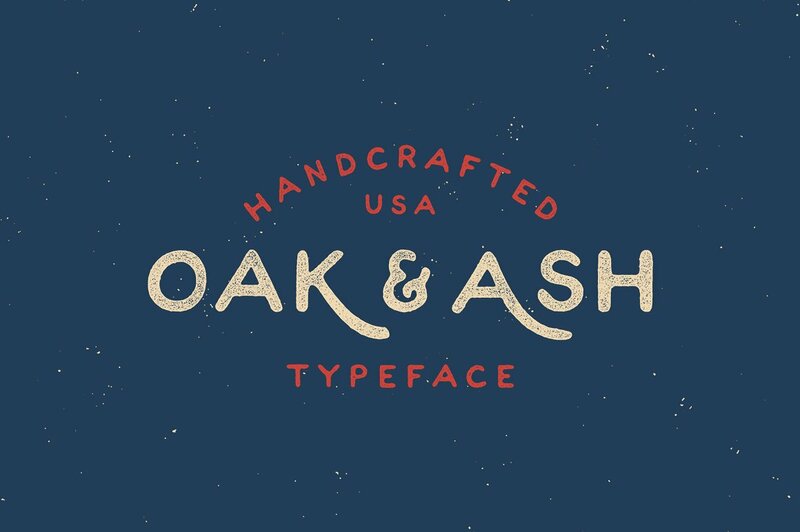 You can use this font for a letterpress business card or any other vintage retro project. 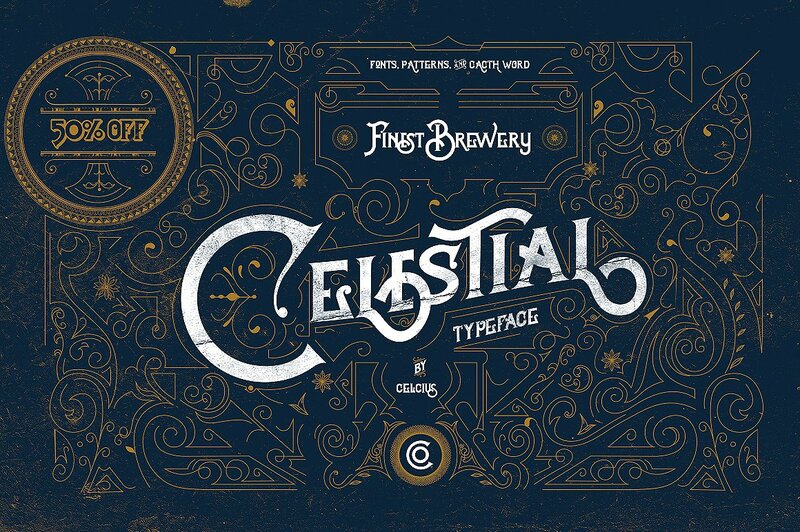 This Celestial vintage font is a handmade Victorian hand lettering, it is a combination of classic and modern typography. 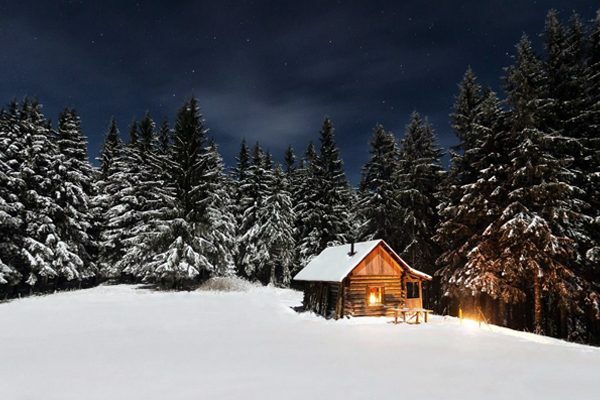 This takes you back to the 1800s but with a classic touch. There is a variety of features included in this font. This combination of voster and heritage font consists of 2 different types of style such as script and sans. 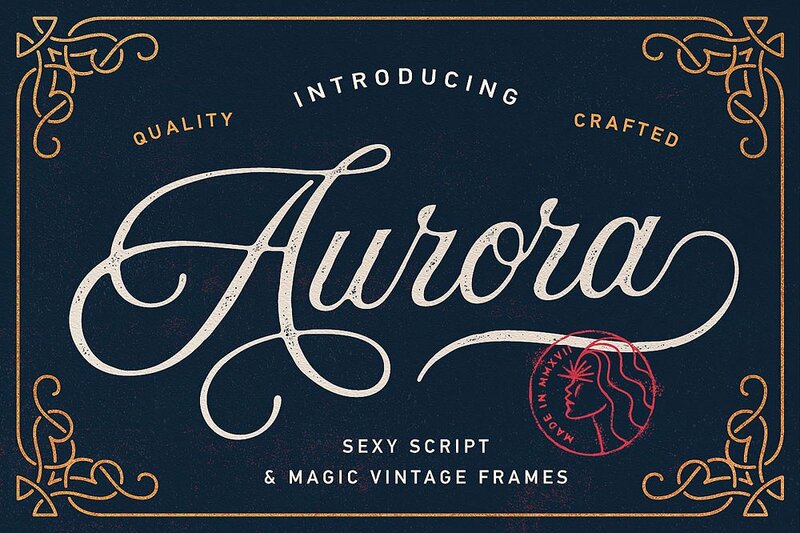 This font is perfect for a vintage style design. You can use this vintage retro design for a wedding invitation even for a clothing brand. The Artisan Collection was created for usability and versatility. 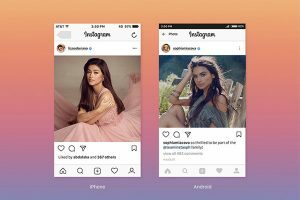 There is different type of fonts that could work together with font. 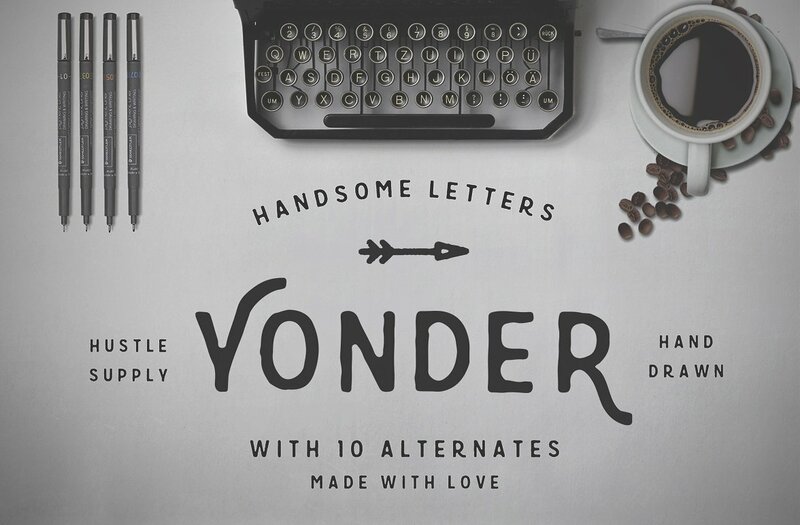 This font set includes 11 fonts , 16 premium logo templates , 20 vintage shapes. 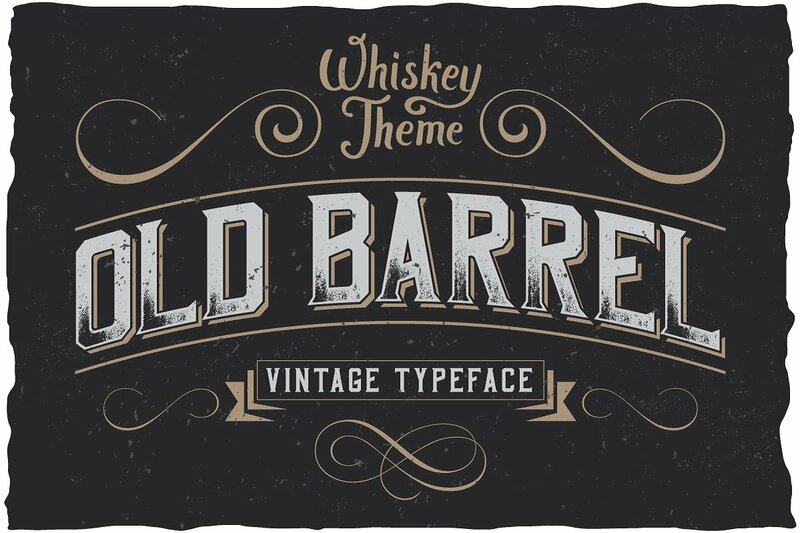 OldBarrel is a classic set of fonts that are a dynamic and strong style. 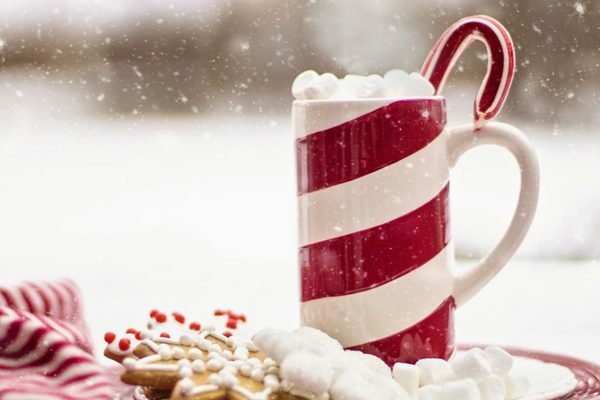 It can be used to create label designs such as alcoholic beverages. There are 4 types fonts included: OldBarrel Shadow ,OldBarrel Shine, and OldBarrel Regular, OldBarrel Rough. 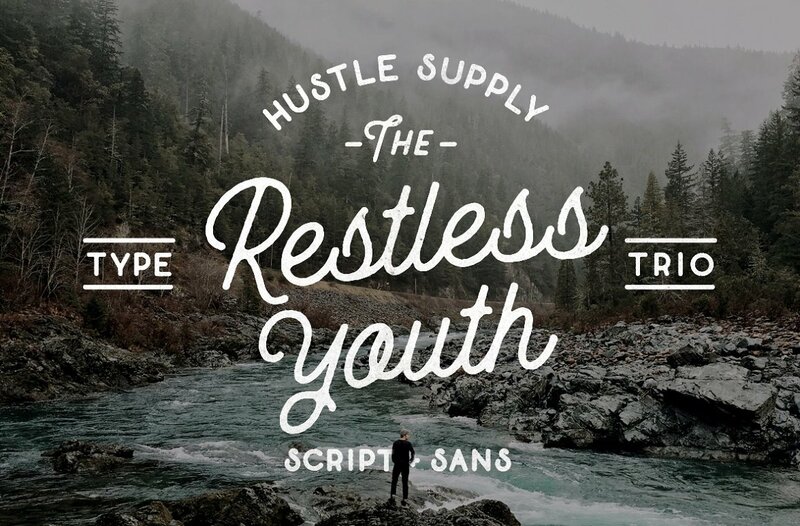 Hustle Supply Co-product family created Yonder font. 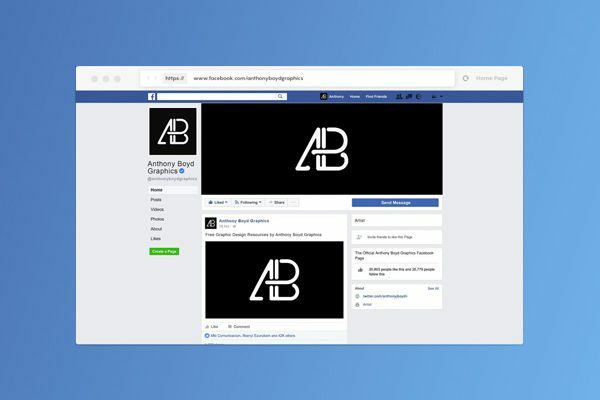 This goes great with script fonts and gives it a great feel to the entire design. If you are looking for a playful typeface style this is the perfect mix. 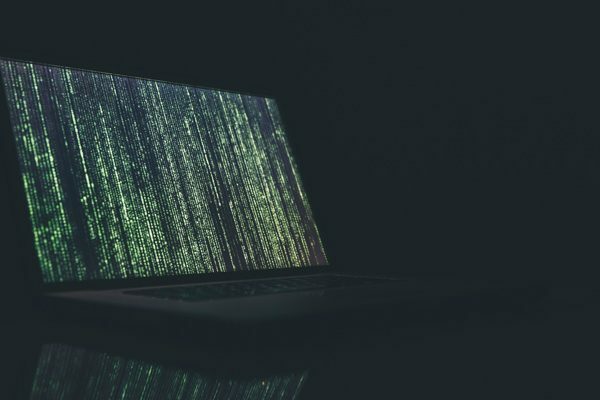 The font is in an OFT format and includes various glyphs, 10 numbers, and 26 letters. 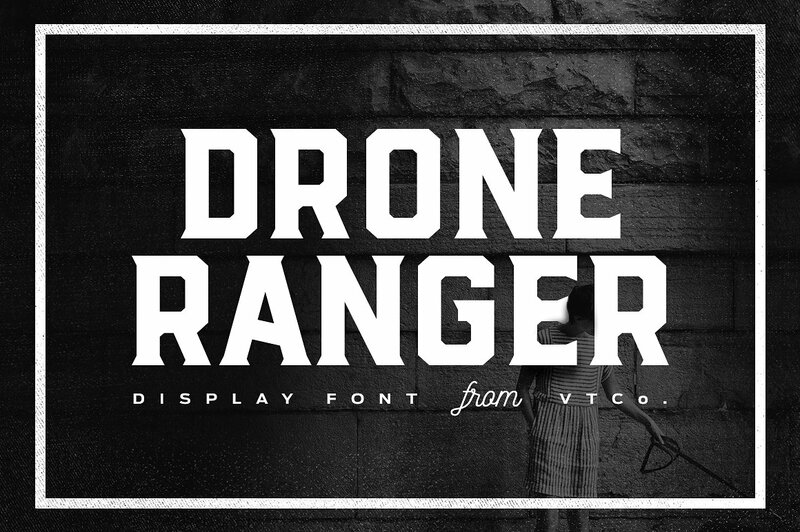 Drone Ranger includes 9 various styles for your all different types of designs. In this family of fonts is a Sans version, special decorative version, and Serif version. These all have very clean and inked styles. The Drone is great for logos, posters, brochures and even sports design amongst others. 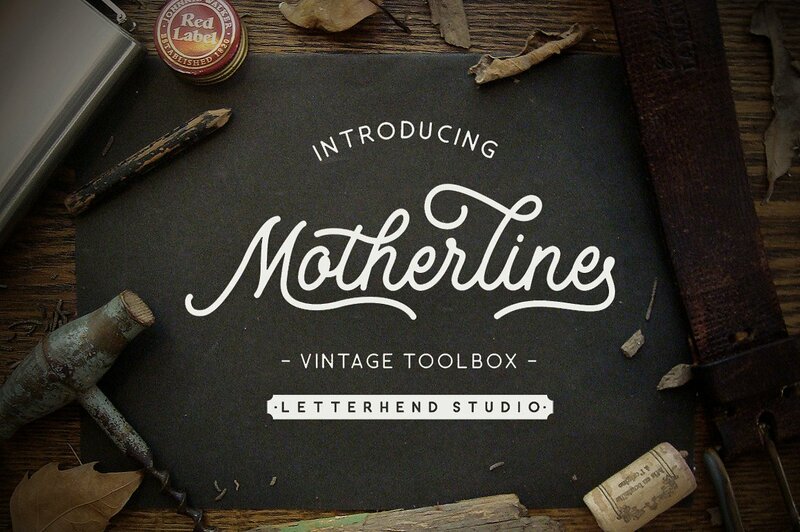 Motherline vintage toolbox is just as it sounds because of the variety of fonts and extra items it contains. 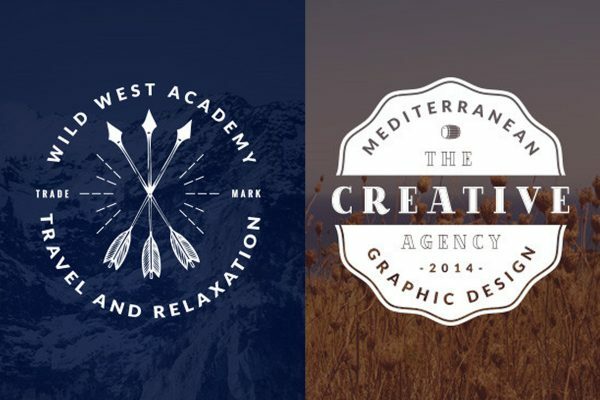 There are handcrafted vintage fonts, but also tons of logo/badge templates and hand-drawn nature illustrations. 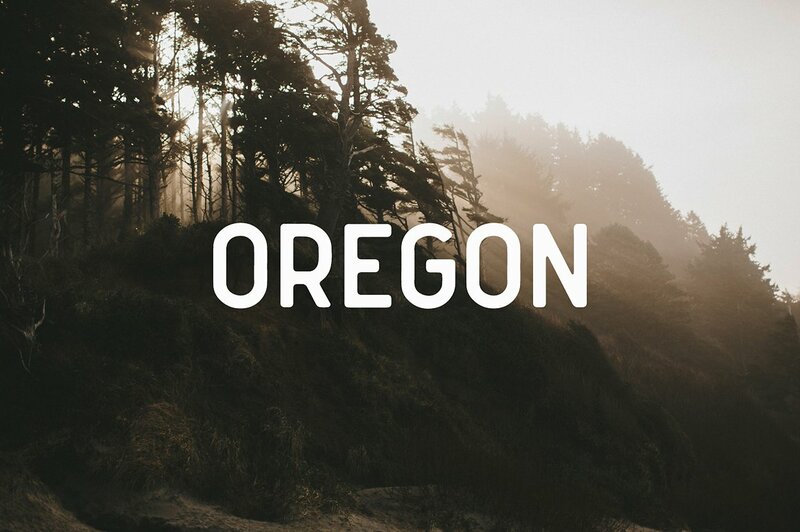 Oregan font is a simple and clean vintage font because of the edges it gives the vintage style. You can use this font for all sort of designs such as logos. 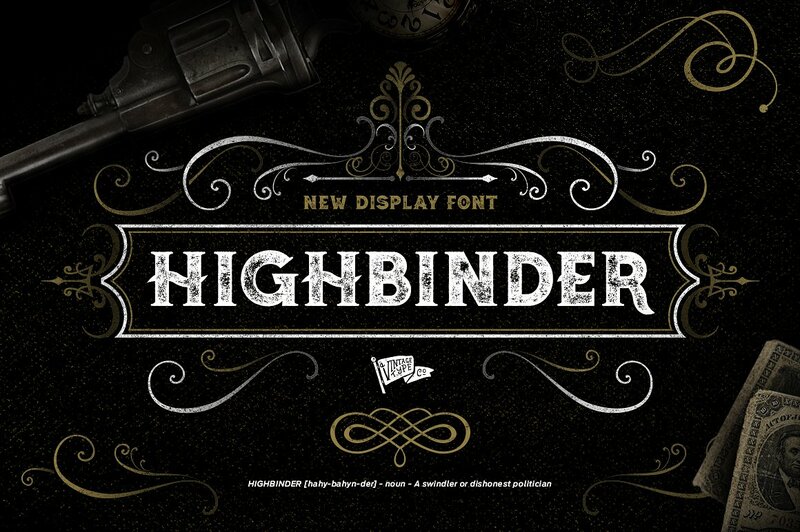 Inspired by prohibitionist era the Highbinder Display Font was created. The font comes in two types of styles which is clean and rough. You can use this font for a poster, logos, and much more! 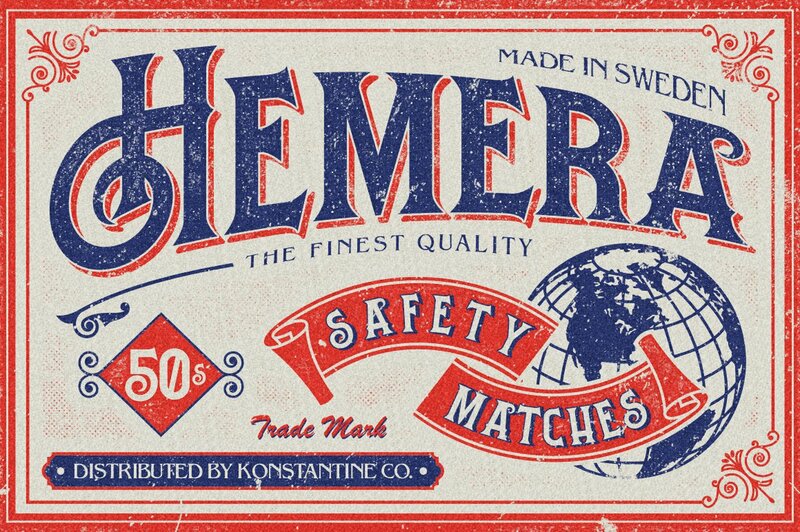 Hemera is a classic style of bold vintage lettering typeface font with sharp serif with decorative. It has a nostalgic look to it and can definitely be a logo, movie sign, or any other designs. 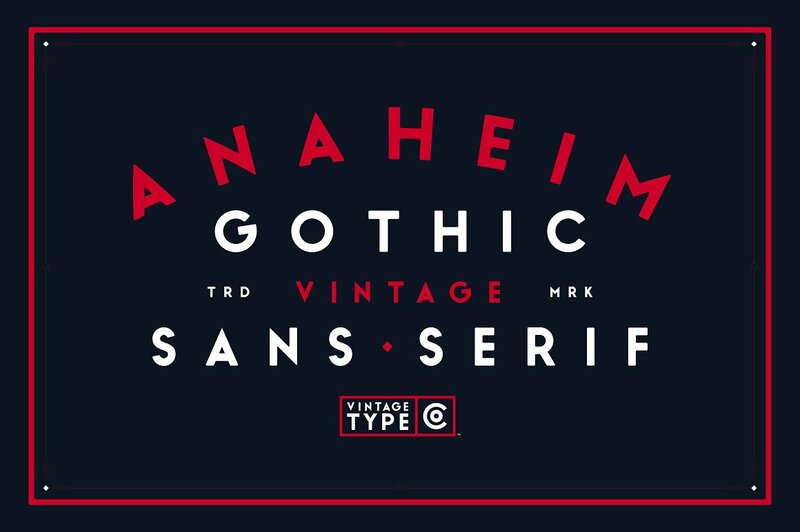 Anaheim Gothic font was designed to give your designs a vintage touch. This font comes in lower and upper case as well as a variety of languages. 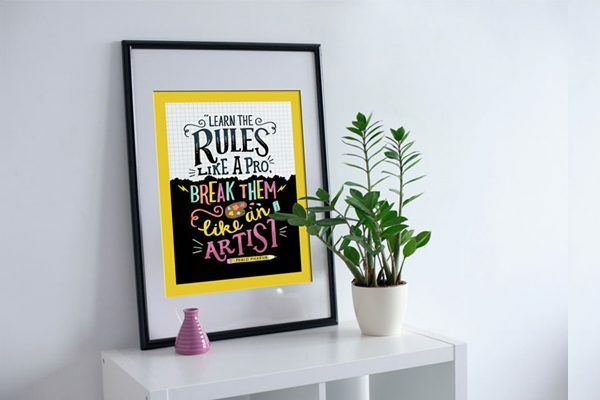 A handmade font like Sarcastic font is a classic, especially for posters. 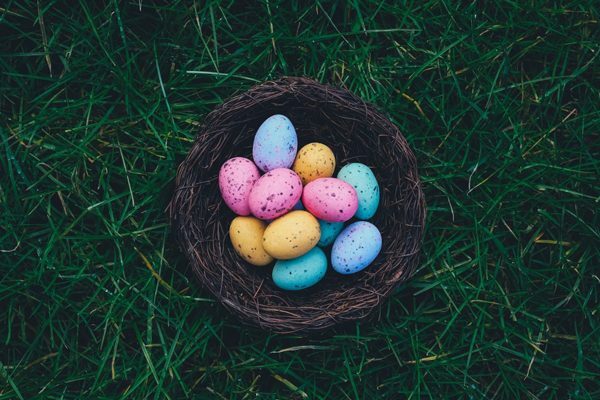 This font comes in uppercase, lowercase, numerals, punctuations and so many other types of variations. 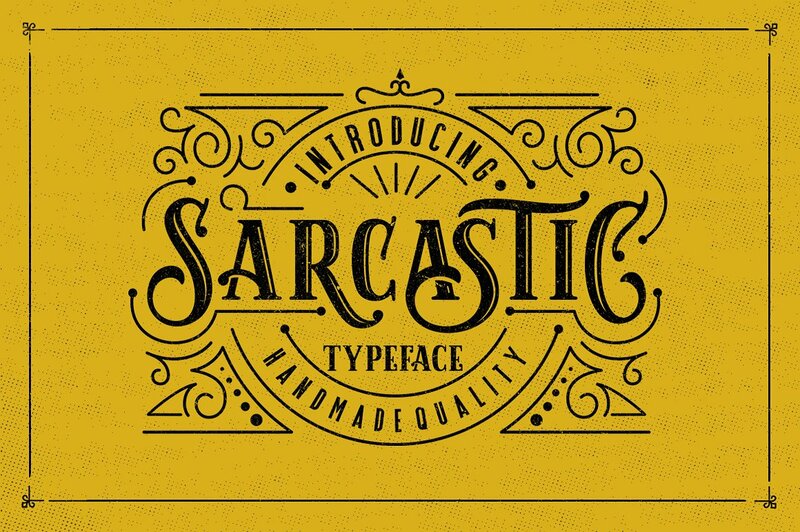 Sarcastic is perfect for letterhead, posters, and clothing apparel. 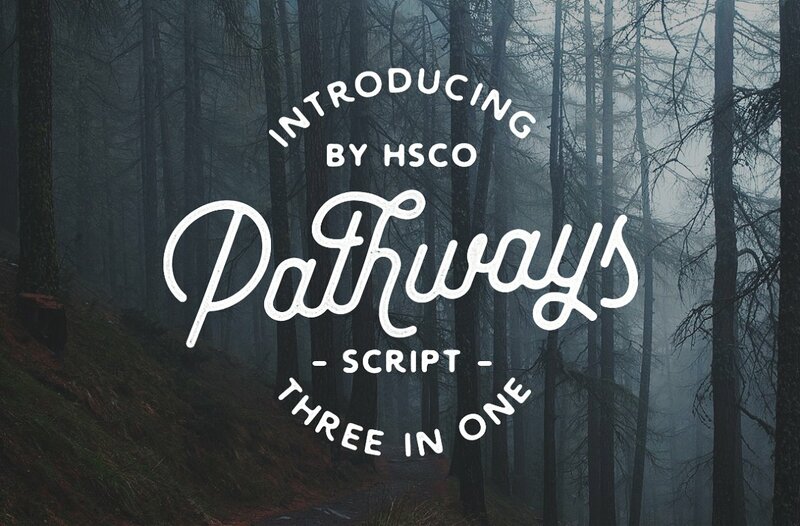 A Whiskey inspired script typeface is a great pair for Wheat & Barley. 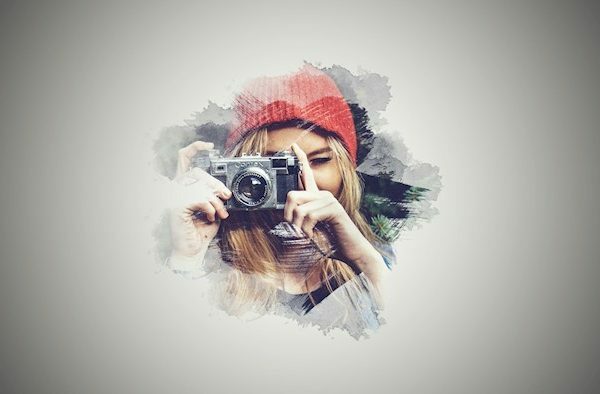 They are fonts that work great together to give the perfect vintage style. 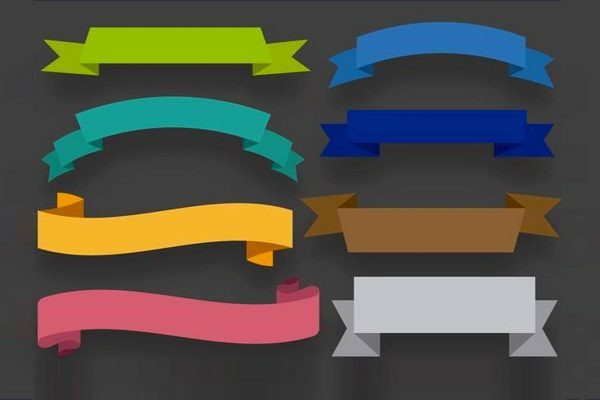 Perfect for labels, signs, advertising and more. 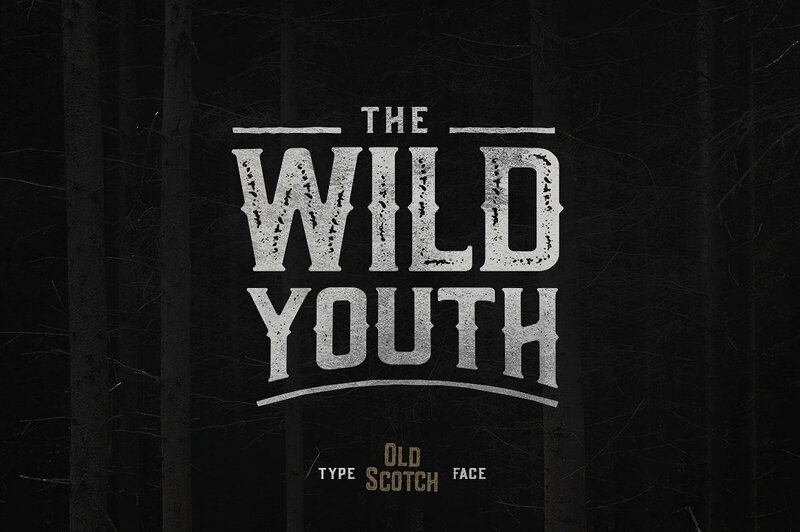 Old Scotch is a detailed vintage modern font that was inspired by beer and brewery style. Old Scotch comes in 7 styles which include: Clean, Regular, Regular Shadow, Modern, Rusty, Vintage, Vintage Shadow. 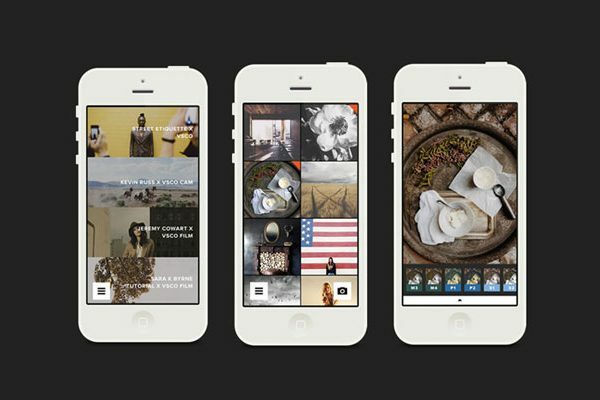 All these can be put together and create a vintage and classic style. 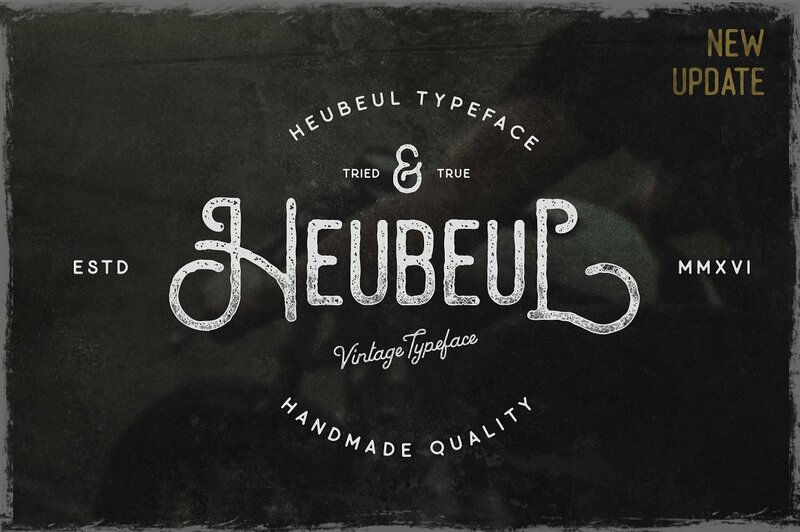 Heubeul is an inspired hand-drawn lettering with a vintage style that was handcrafted. 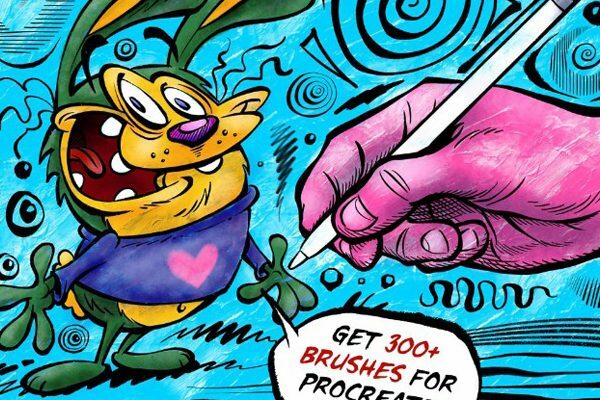 This is great for posters, logos, t-shirts, photograph and much more. 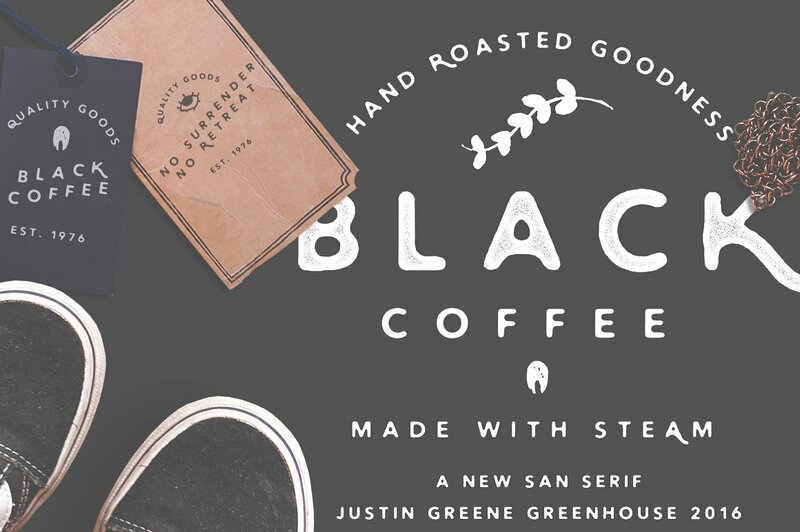 Greenhouse Supply Co. created this new hand-drawn typeface vintage san serif font. Black Coffee is great for stationary, apparel and even logos. 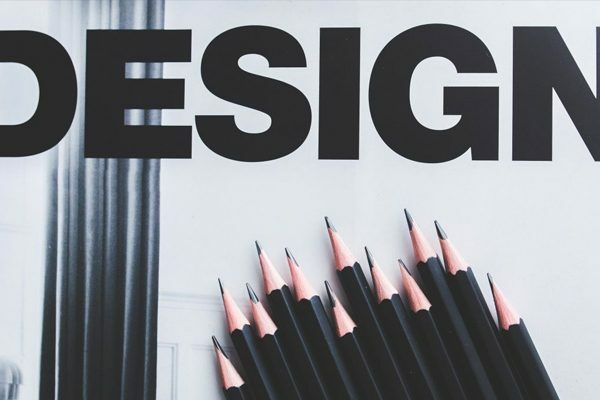 It was made exclusively for designers by designers. 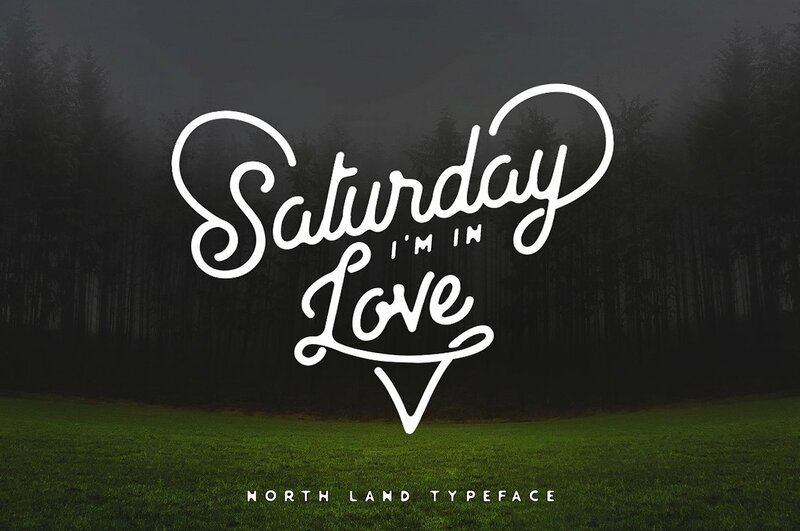 North Land Typeface bundle is a vintage font that was handmade for letting and typography. To stimulate vintage printing the smooth edges give it the look and feel of it. 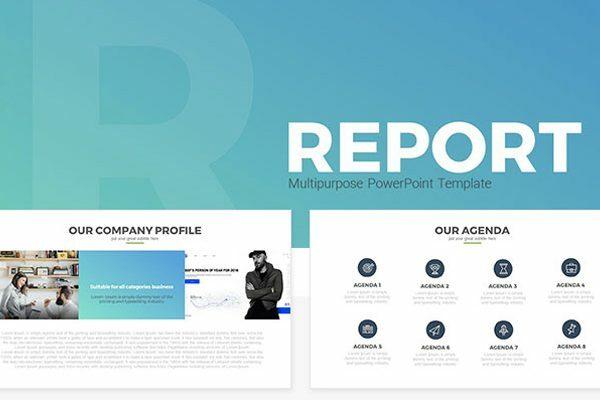 This set comes with 3 font files that can be paired together perfectly. 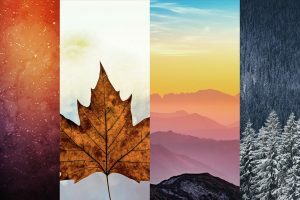 This is perfect for t-shirts, business cards, logo, quotes, photography and other designs. 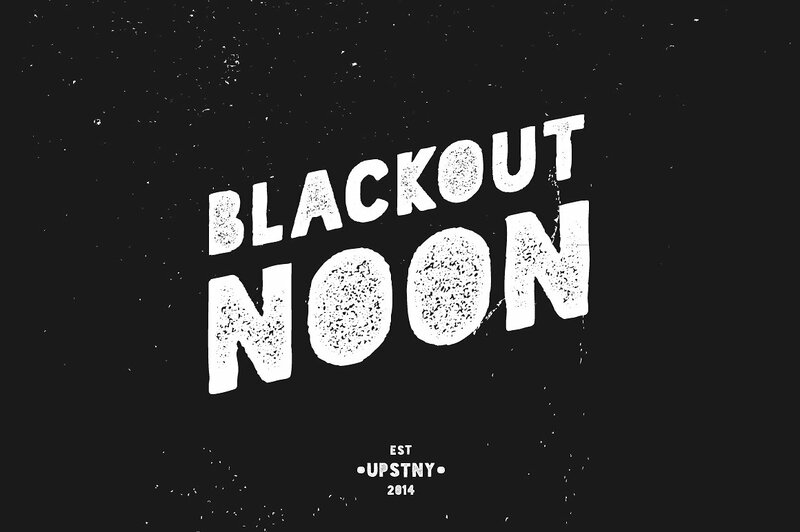 Blackout Noon is a unique font that comes in regular and italic styles. The style of the font is different but expresses a boldness so you can use it for signs, shirts, and other designs. 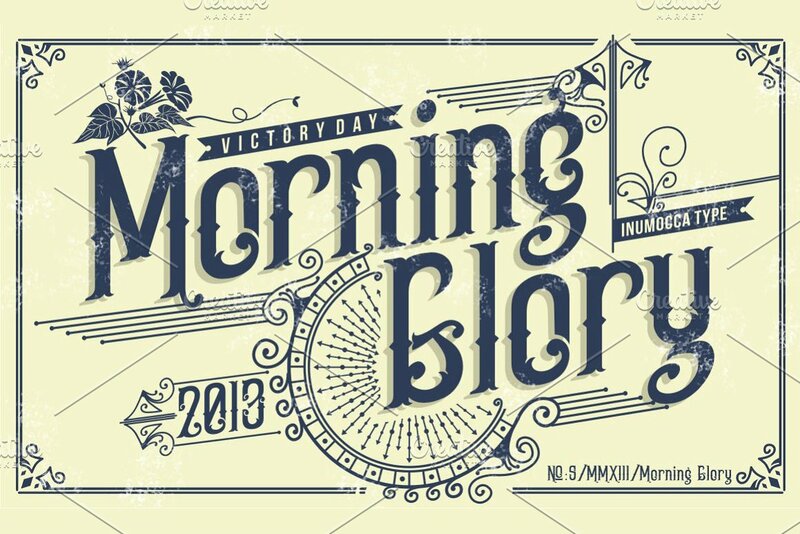 Morning Glory is a font that was inspired by the Victorian age and culture fashions. It would great for a band name, apparel, vintage, and classic things. It comes in uppercase and lowercase. 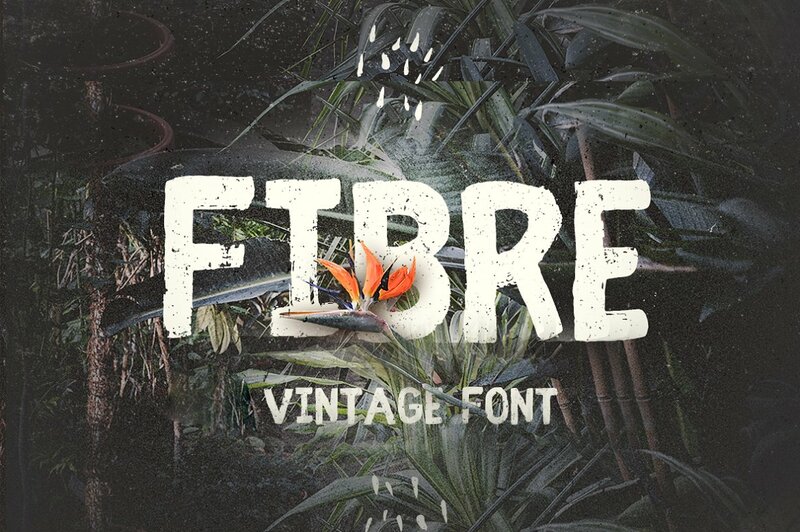 Fibre a vintage handwritten font is unique and has basic characters. 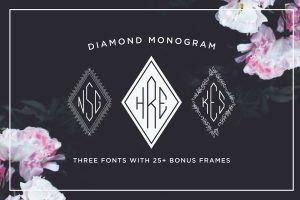 Fibre is an all caps font that is bold and can be used for invitations, posters, shirts and any other design that wants a bold look. 23. 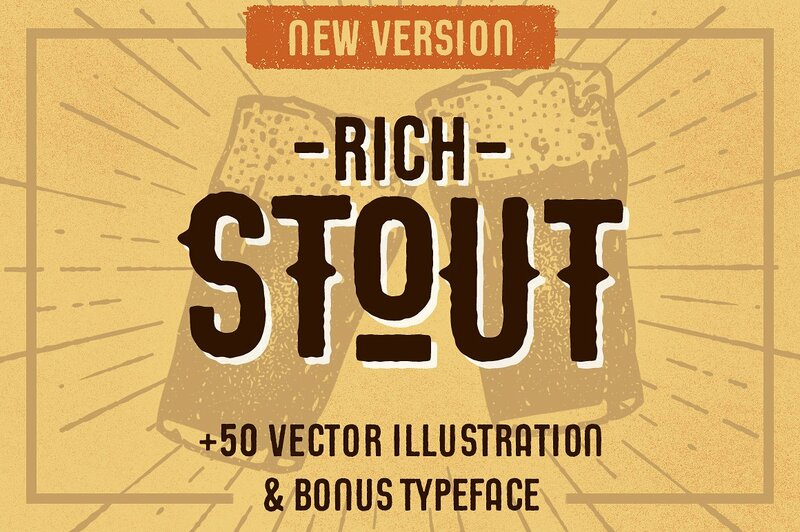 STOUT • New Version! Stout is a nice looking vintage font that is a great rich style font that is used for logos, flyers, posters and more. There are two styles that come in this set. 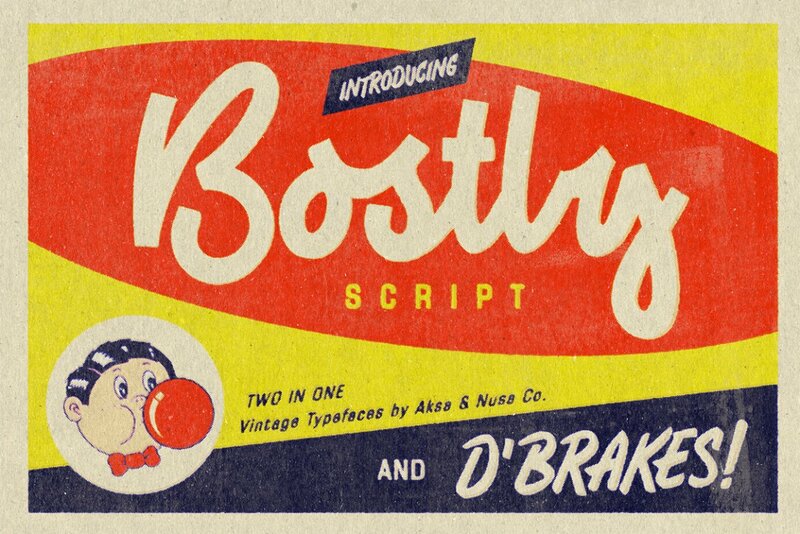 Bostly & D’brakes is a typography inspired of a vintage font from the 1980’s. 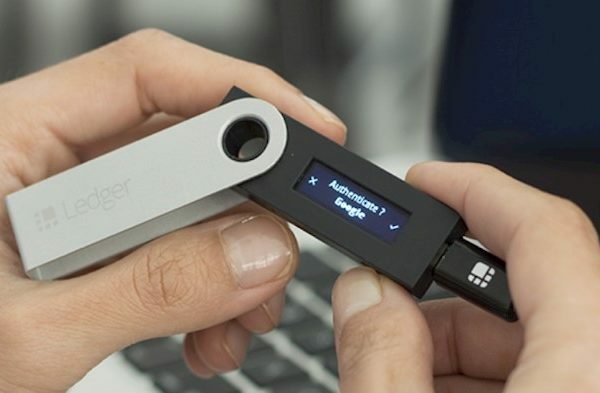 It comes in uppercase, and lowercase. 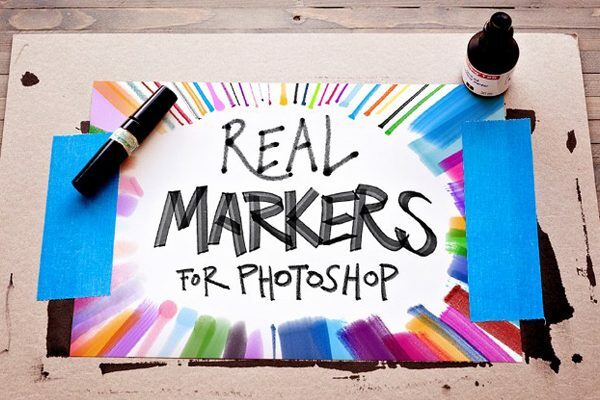 It’s also great for logo designs, labels, t-shirts and other vintage items. 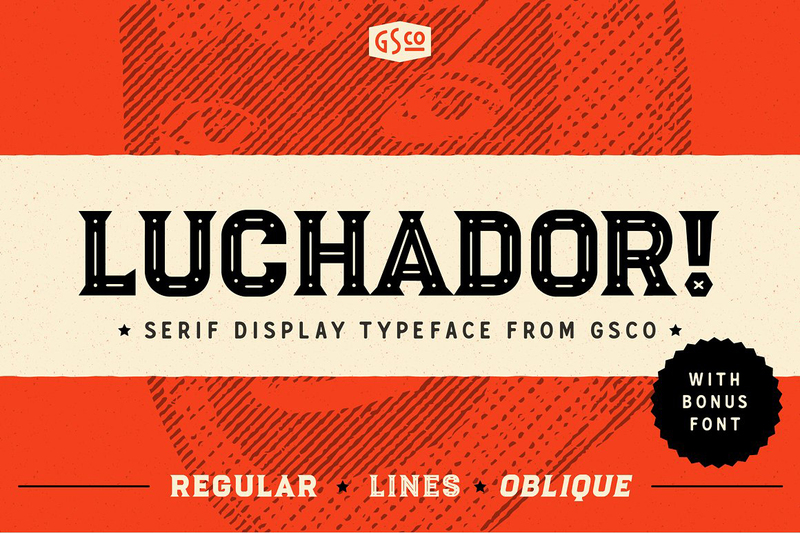 Luchador is in two styles that will give your design a lot of character. There is two different styles Luchador Regular and Luchador Oblique as well as a bonus font – Luchador Lines. This is great for a sign, shirts, and logo. Greenhouse Supply Co-created Wooden Atelier which was hand for the touch of vintage. 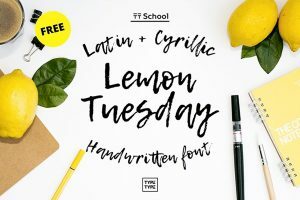 It’s a font that is perfect for stationery, logos, and other designs related. If you are creating a vintage look for a sign this is a perfect font. Based on Caston regular this highly detailed textured serif set was created. 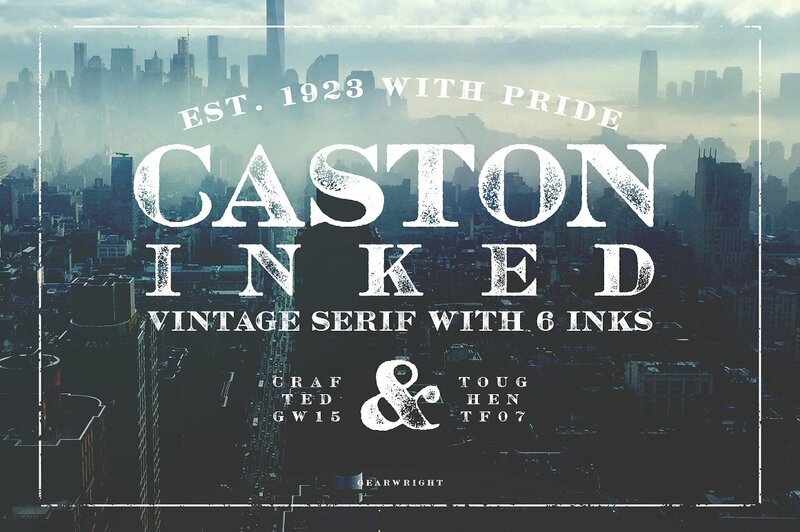 Caston Inked was a way to copy old printing works. If you have a design that you are creating that needs to have a retro touch to it this is an excellent font to add to your project. 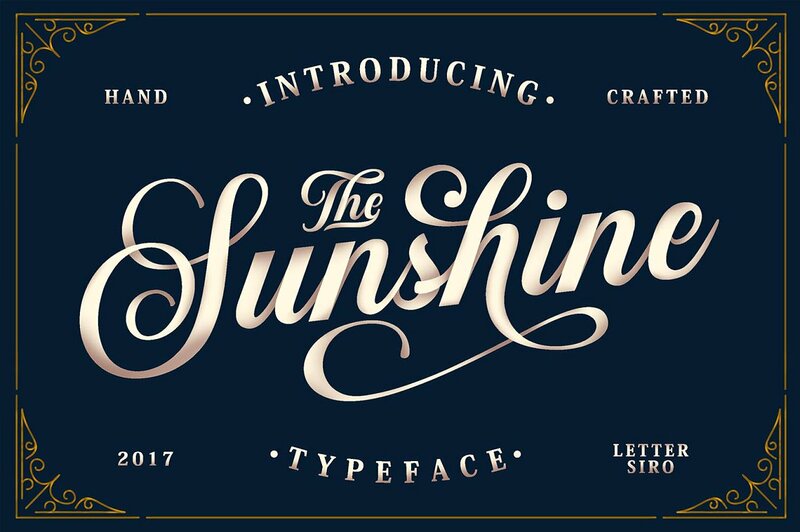 Sunshine is a beautiful elegant font that was made exclusively for that purpose. This would be great for a wedding invitation, logo, shirt design or even an Italian restaurant sign. 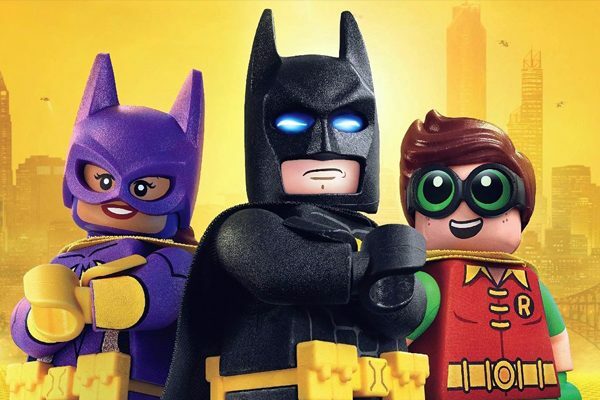 These are included: Sunshine (Otf), Sunshine (TTF), Sunshine Ornaments (Otf), Sunshine Ornaments (TTF), Sunshine Ornaments (EPS). 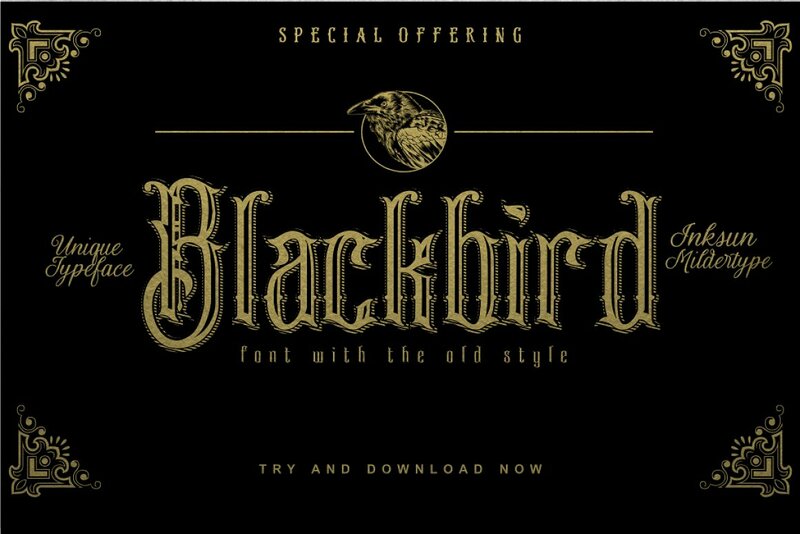 Blackbird is a stylish elegant and mondern font. It’s a font that can be used for any occasion or design such as posters , logos, shirts, signs. 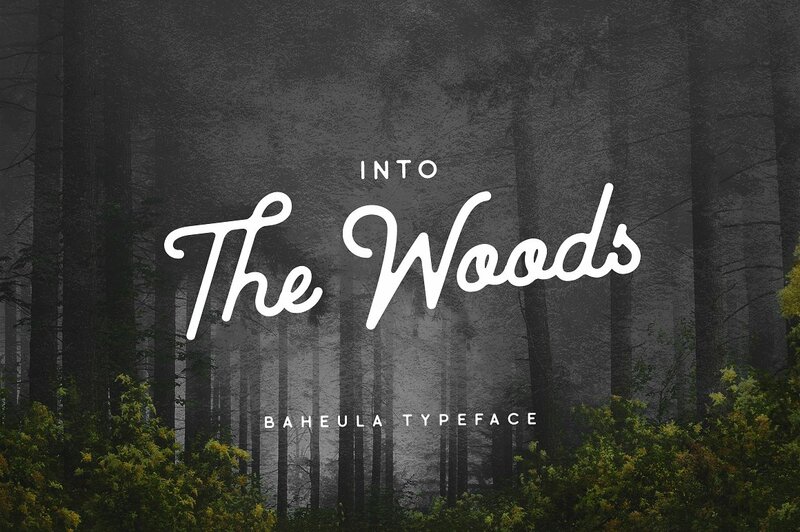 Baheula is a clean, classic vintage style font that was handcrafted to work together to create designs quickly. 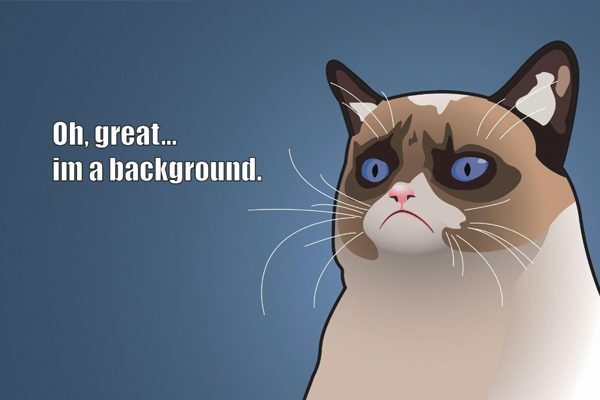 Goes great for a letterhead, business cards, quotes and any other graphic design. An original and unique script sans fonts that was created to give a perfect match with each other. These two are great for type & logotype pieces. Four font files are included: 2 Scripts, A Script / Sans Combo & Lastly A Sans Serif Typeface. 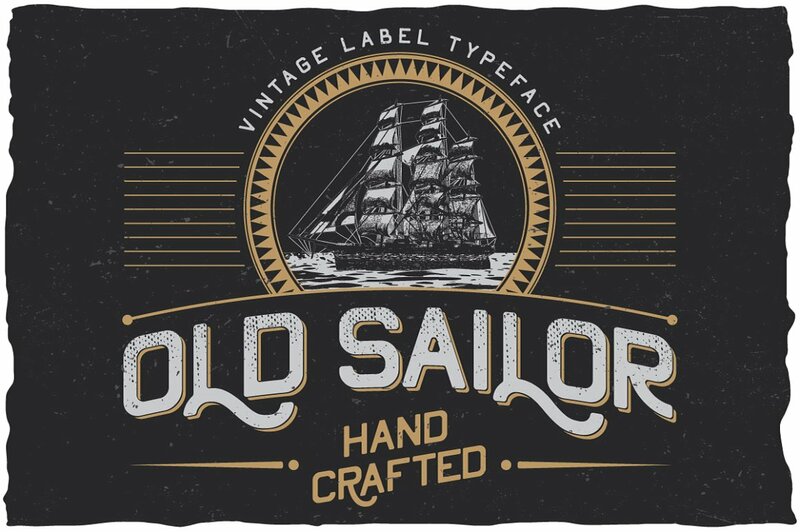 Oldsailor is a classic vintage typeface font that you can create a variety of designs with it to express a strong but classy style. 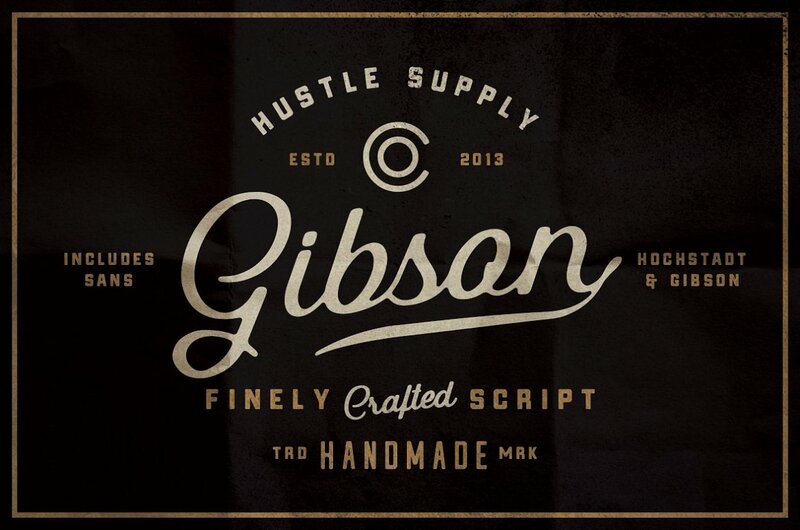 An old-time inspired font as Gibson is can be ideal for logos, labels and other designs. 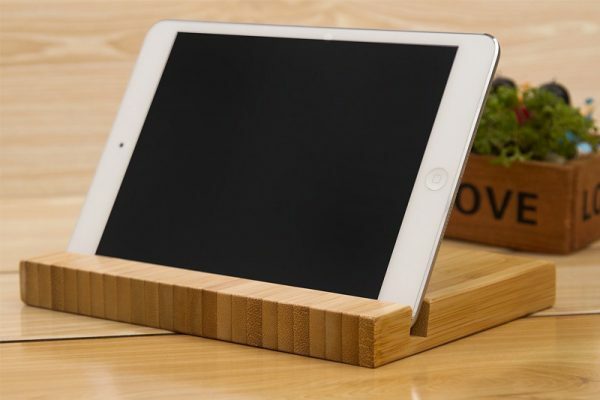 It carries a bold but vintage look to it that can go well with any project. 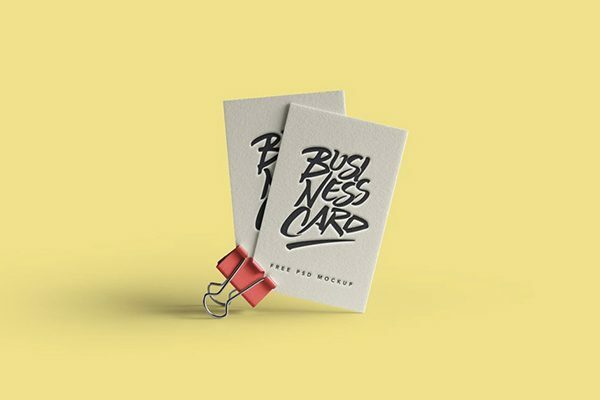 Hustle Supply Co created this modern era of traditional logo style design. 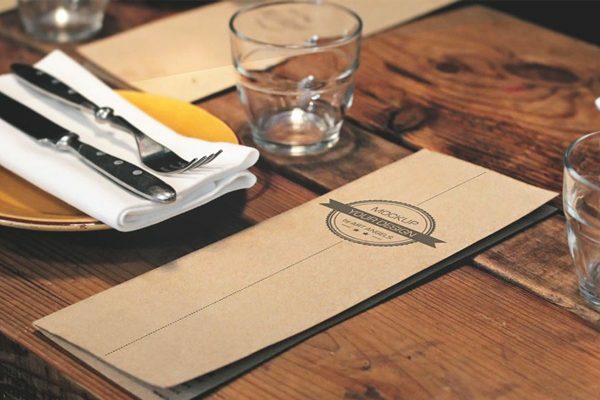 You will be able to create designs to have words stand out specifically as for a wedding invite or a business card with the company name. 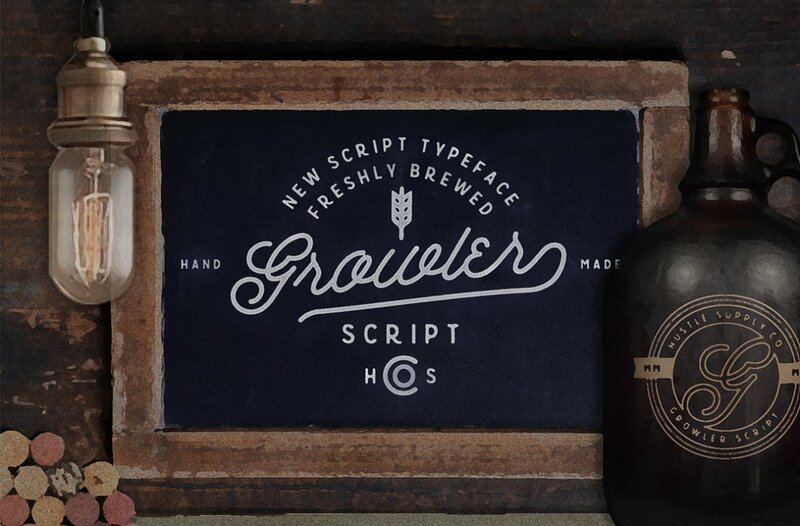 Growler was made with glyphs and in an OTF format. 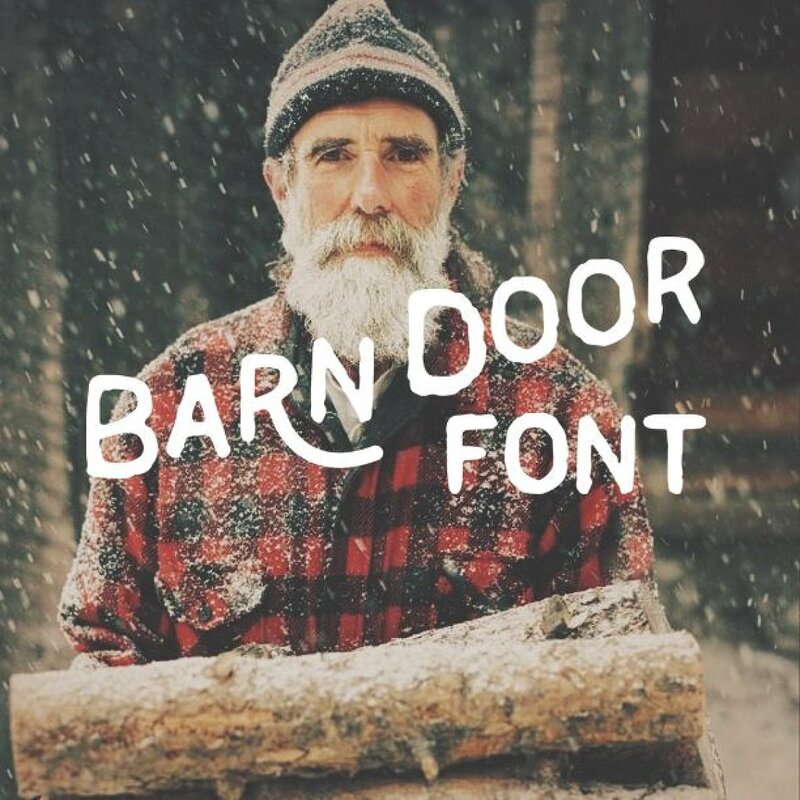 Handmade barn door sounds just like the name itself it looks like it has been handwritten. This set comes in a full alphabet with two versions, icons and numbers. 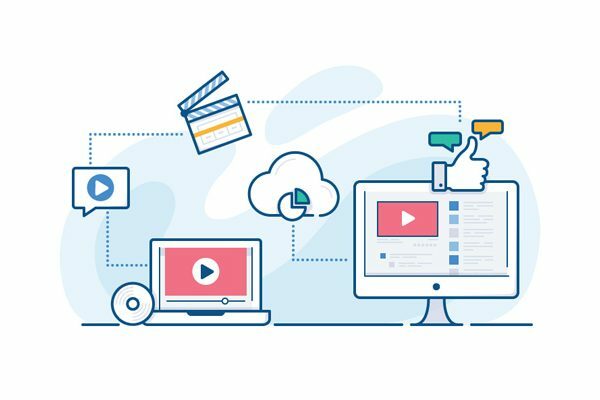 ThunderPixels created Fontastick, a bundle set of an authentic font that can be used for any project and can be combined. 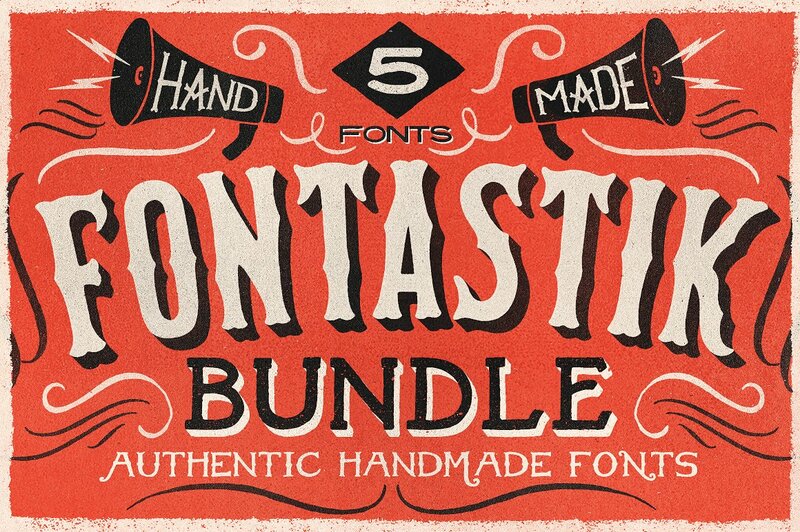 The following fonts are in the bundle: American Handmade, Eighty-one, victory & glory, Gilmost Mill’s, Grand Gibson. Circular Stroke is one three styles Pathways bonuses comes within this bonus set. A total of 7 fonts are all in this bonus set. 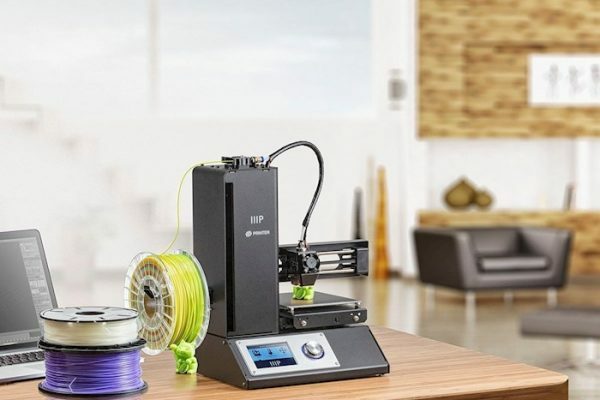 It’s versatile and great for creating shirts and business cards including other designs. Hanley is a versatile, fresh font that has a modern vibe that helps when creating typographic designs. 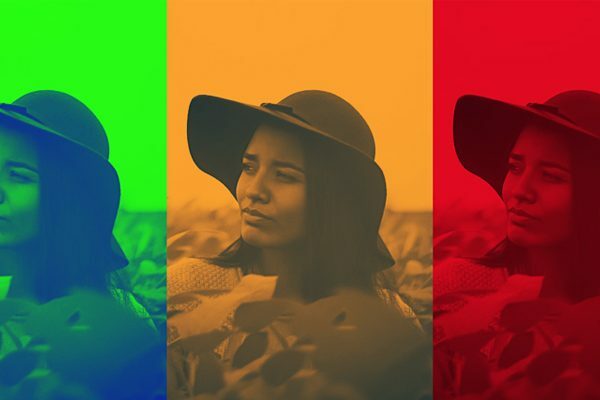 You will also find letterforms that help images look clean. 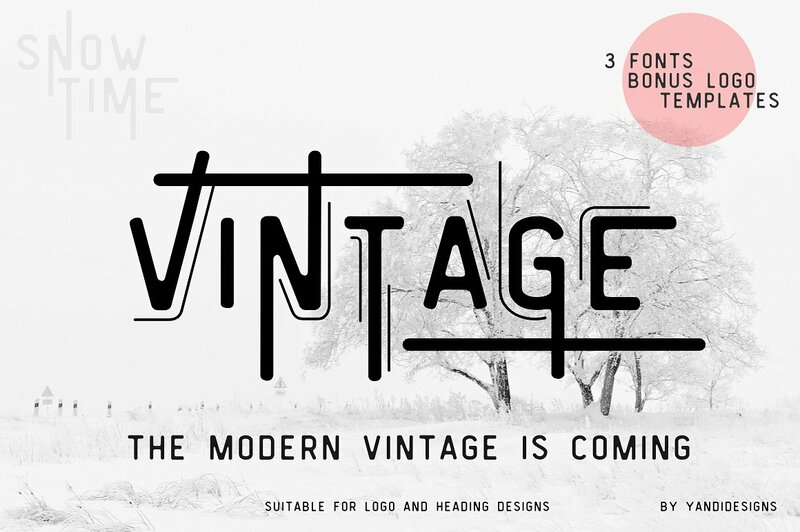 Vintage modern is a particular font that is different than others because of its lettering. 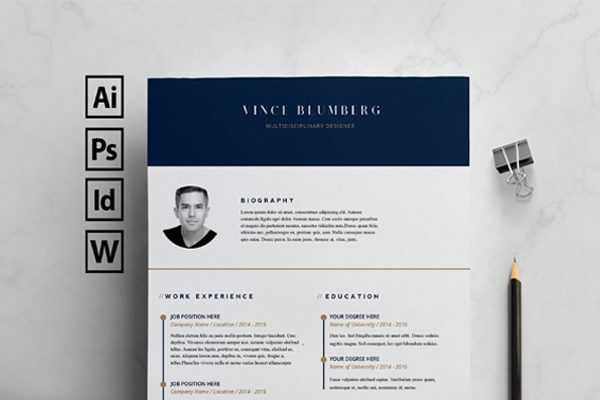 This set comes with a total of 3 fonts and a bonus template which is suitable for heading and company logos. 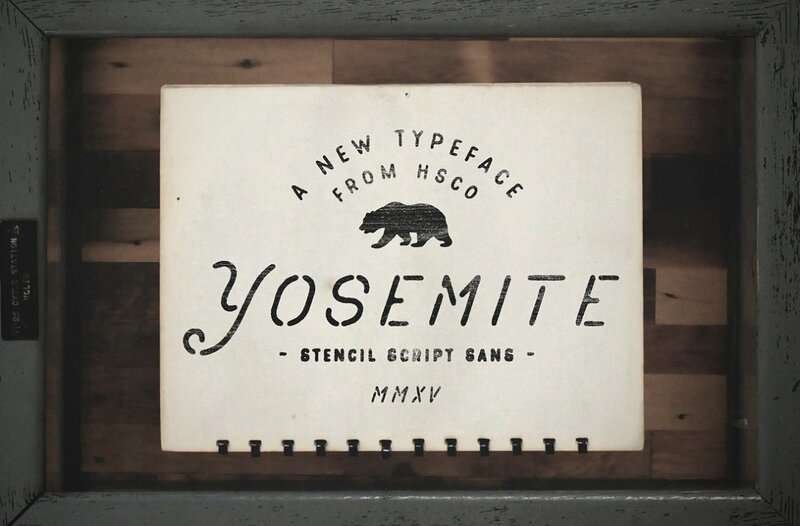 Yosemite is a distintive font that was create to give a uncommen effect with its stencil look. The script sytle comes in both capital and lowercase letters. 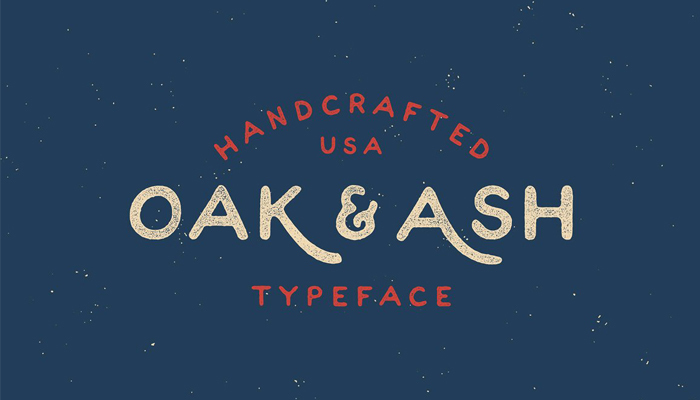 Oak Ash hand is a hand drawn font that was inspired by Parker font. 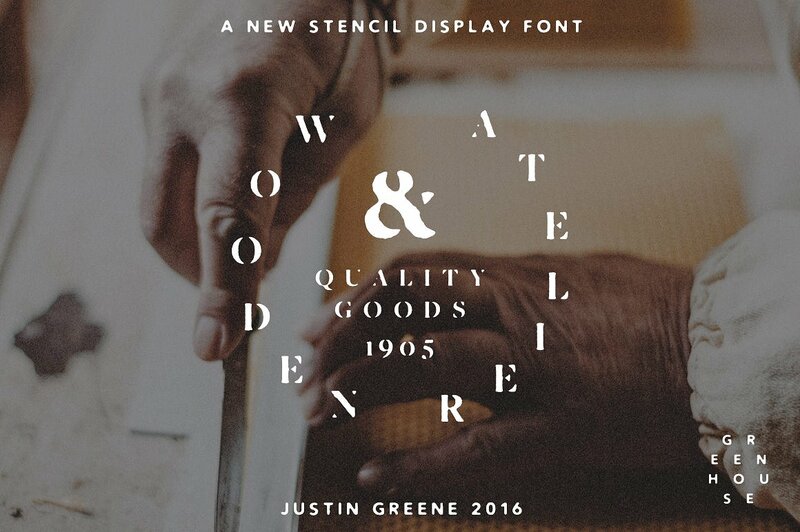 You can use this font for branding, shirts, logos. 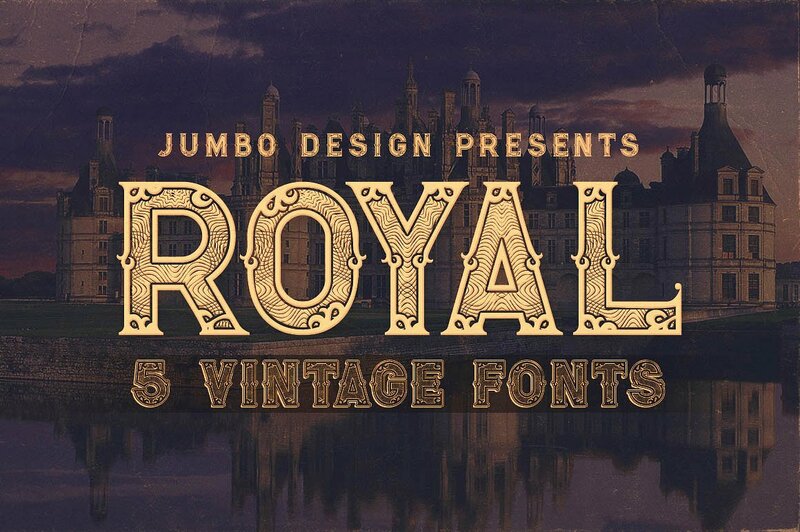 Royal Vintage is a unique style of serif font that has 5 styles included. 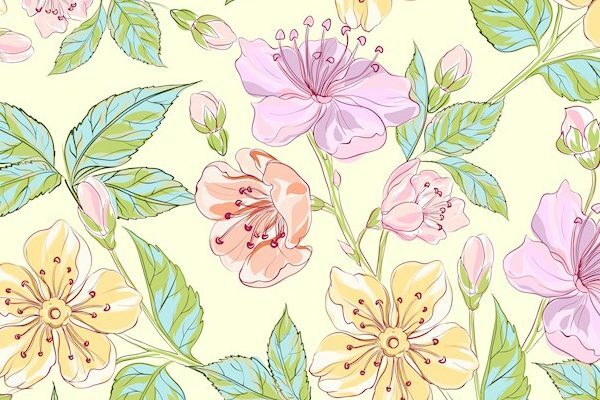 Great for any design that you would like a decorative style. 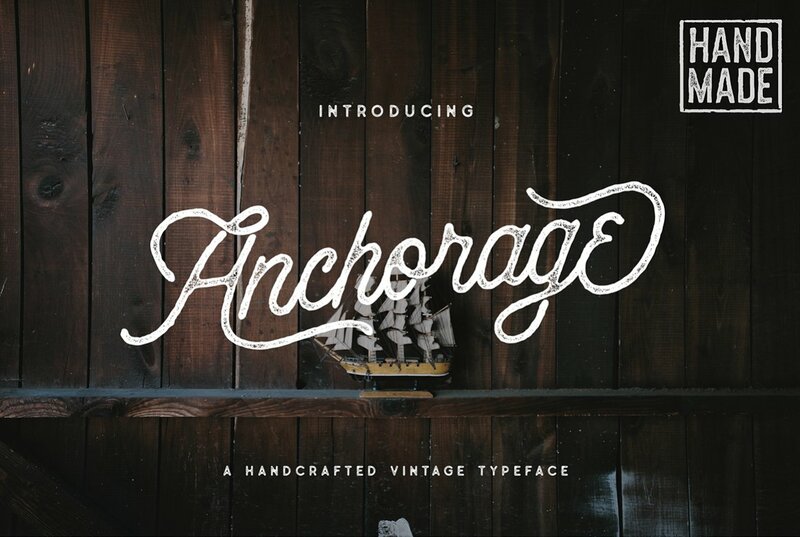 Anchorage Script Typeface is vintage handcrafted script font. You can get the classic old feel to any design by adding this font. Stylistic, Uppercase and lowercase character are a few of the features. 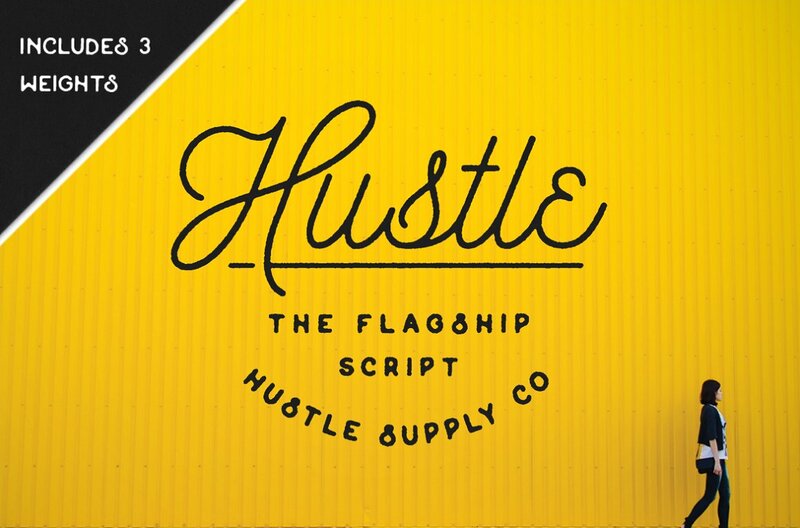 Hustle script is a 3 weight font that gives you a hand written style that many choose. 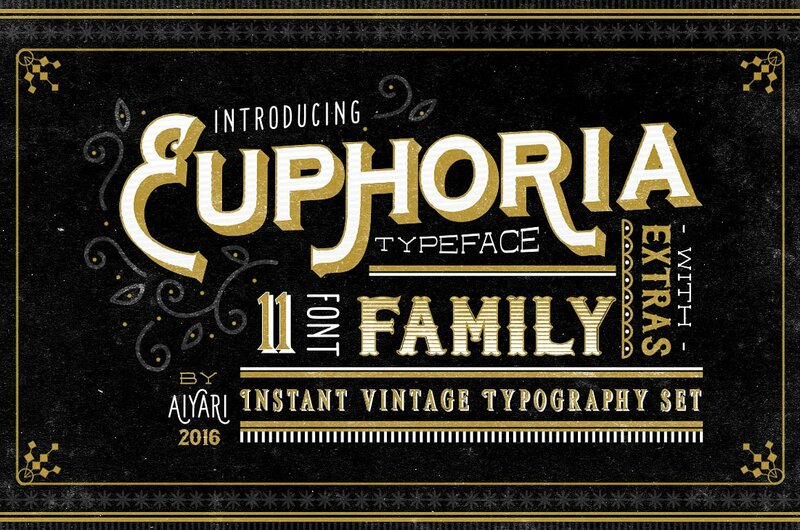 Euphoria font family are vintage typeface inspired. 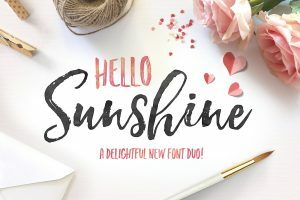 This set included eleven fonts that will go great with eachother for any project. You can use these for shirts, quotes, invitations and many more vintage style designs. 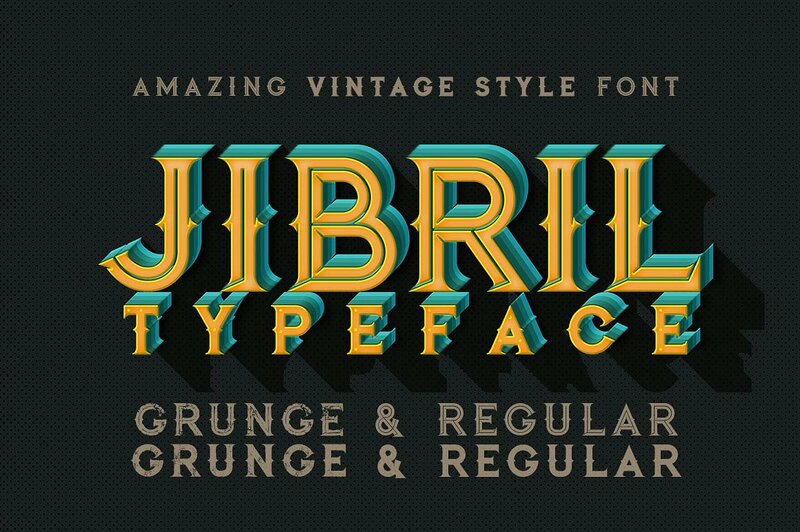 Jibril is a rare classical font that has a variety of styles. 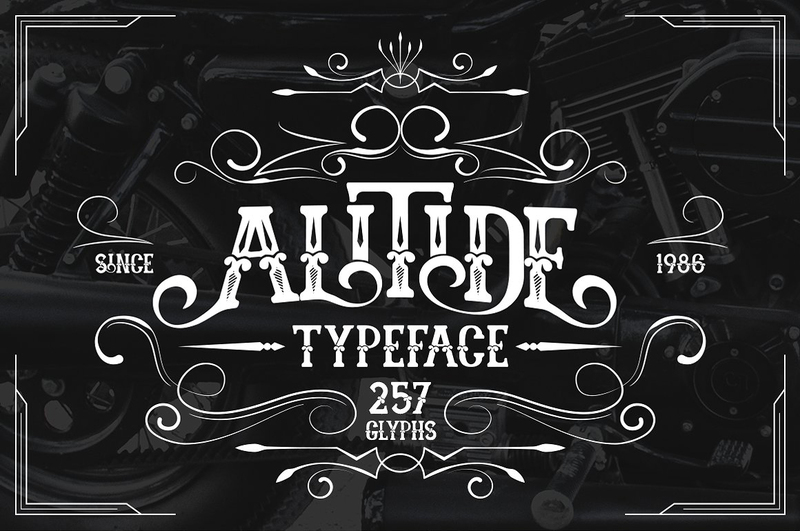 This font can be used for shirts, signs, brochures and other vintage desings. 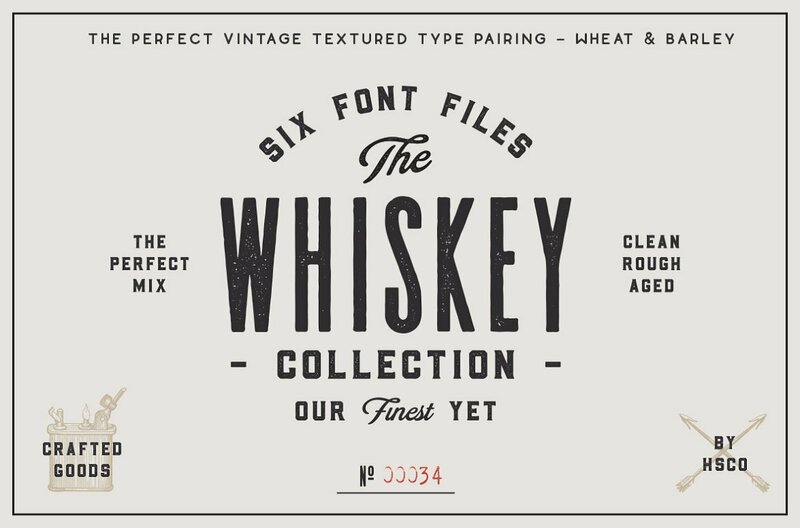 This typerface font is inspired by old sarifs and classic bottles. There is one layerd font and 7 other endless fonts that can go together or separate. 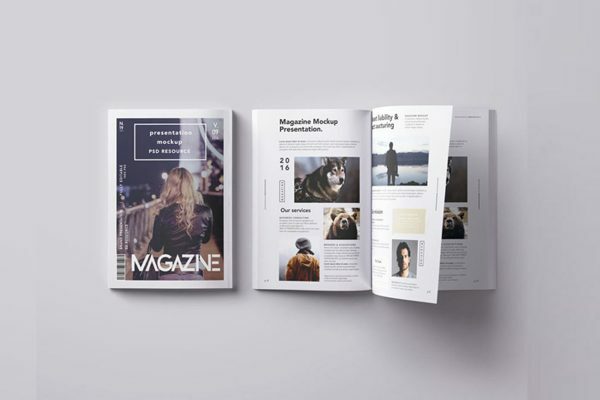 Alitide is a western modern style all cap font that can be used for a variety of purposes such as book covers, flyers, letterhead. Heybing Supply Co, created harsh typeface because of its elegant characteristics. Along with this combinday you can do a combination of upper and lowercase. 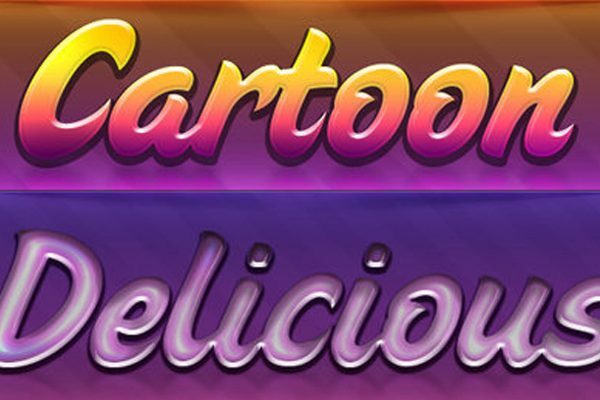 We are glad you were able to get inspired by these varies fonts that will help you add character to your next project. Stay tuned for further updates on more vintage retro fonts.